Comments: Deciduous broadleaf native to the eastern US. 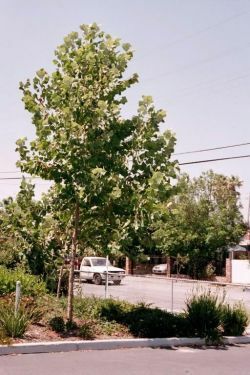 Large 6" wide maple-like leaves with shallow indentations. Single seed ball below leaves. Trunk is tan to white. Mature trees to 120' with massive trunks.